Kohli will come good as a player as well as a captain in the 50-over Champions Trophy, Southee said. New Zealand pacer Tim Southee on Saturday backed Indian skipper Virat Kohli, who has struggled in the ongoing Indian Premier League, to come good in next month's Champions Trophy in England. 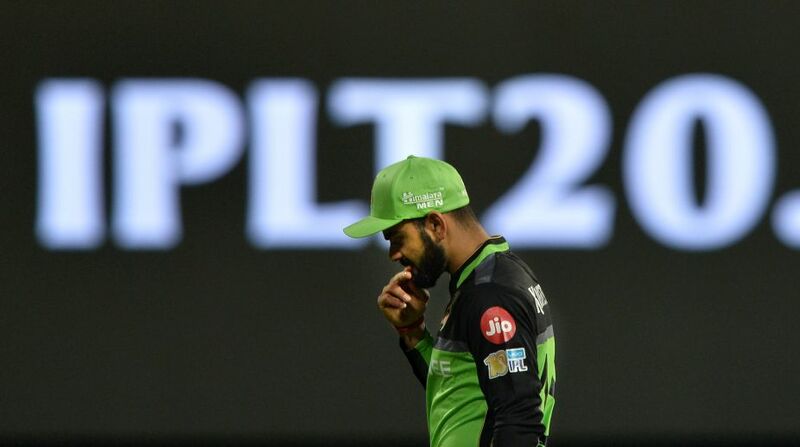 Kohli, the Royal Challengers Bangalore skipper, had a lean patch in the IPL as the last year's runners-up side became the first team to be eliminated from the play-offs race of the T20 league. But Kohli will come good as a player as well as a captain in the 50-over Champions Trophy, Southee said. “He is a class player. There's a reason why they are such good players and they don't stay out of form for too long. I'm sure he's working extremely hard with such a big tournament round the corner,” Southee said. “I'm sure he will adjust to the conditions. There's a reason why he is the best batsman in the world. He will step up as the Indian captain as well,” said the Mumbai Indians pacer at a promotional programme where Amul partnered with the New Zealand cricket team. New Zealand are clubbed with Bangladesh, Australia and hosts England in Group A. “I don't think any group is easy, that's the beauty of Champions Trophy which is played among top eight teams in the world. There's no easy game, that makes Champions Trophy such a great tournament to be a part of. Any side can beat the other on a given day. It's an exciting tournament,” Southee said. As most of the cricketers would head straight from India after playing IPL, Southee said they can use some Twenty20 skills in the one-day format of the Champions Trophy. The English conditions no more give an edge to the bowlers and Southee said both batsmen and bowlers would get fair amount of chance. NZ pace spearhead Trent Boult said it's very hard to determine a favourite in the tournament where eight quality sides are involved. “It's a matter of who's playing the better cricket. It will be a challenge to move from the Twenty20 to longer format. The guys here are exposed to some good cricket so the transition will be relatively easy,” said Boult. “At this time in England, the wickets will turn. It will be relatively good for swing and seam bowling as well. There are eight quality sides, they have experience in all conditions, have the quality in them to produce quality cricket irrespective of the conditions,” he said.